Sidekick: Google Chrome - More than just "yet another browser"? Google Chrome - More than just "yet another browser"? 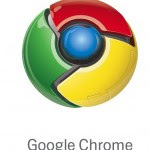 Google is coming up with its browser "Google Chrome". There is a nice series of cartoons explaining the thought behind some of the features.